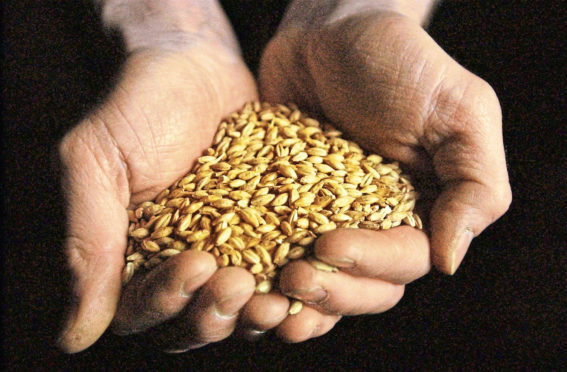 Profits fell by 40% at one of the UK’s biggest maltsters last year. Pauls Malt, which has sites at Buckie and Glenesk, Montrose, reported pre-tax profits of £8.314 million for the year ended June 30 2018. This is down from £13.988m the year before. Turnover at the firm, which also has sites at Knapton in North Yorkshire and Bury St Edmunds in Suffolk, increased slightly to £109.144m, from £108.052m previously. Accounts filed with Companies House reveal that the bulk of the sales – £79.468m – were in the UK. Sales to the rest of Europe were up 40% to £6.569m, while sales to Africa, Asia and the rest of the world were worth £7.568m, £15.044m and £495,000 respectively. In a report accompanying the accounts, the firm said the decline in global beer sales had slowed down, and there was good growth in Africa and Asia, as well as continued growth in the craft breweries sector. “Our relationships and long-term view with these global brewers, as well as with key regional players, have put our business in a strong position,” it added. The firm said the whisky distilling sector continued to perform very strongly in the UK and overseas, and although the volume of business in this sector was down last year, it was expected to recover. It added: “The barley market this year (2017-18) was challenging, with a long, wet and late summer giving variable quality which impacted on our output. It said Brexit continued to provide “short-term trading benefits” caused by the devaluation of sterling, and trade outside the EU was performing well. Pauls is a part of Boortmalt Group and is ultimately owned by French farmers’ co-op Axereal Union de Co-operatives Agricoles.